It is so hot outside, and our models are late for a party. Our models want you to take care of their makeover so that they can look pretty than ever. So, give the models the best makeover they truly deserve. To make the models pretty, they require a spa treatment. You can start by cleaning pimples, threading eye brows, face scrub, hair wash, face wash, putting on eye shadows and steamer. After her Spa treatment, you will have to give her a one of a kind makeover. Something that is unique and special. . 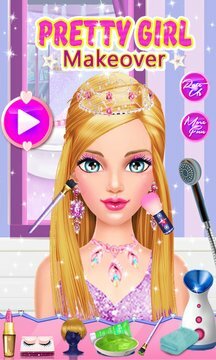 The makeover scene includes putting blush on, eye liner, changing eye color, various lipstick colors available, a wide variety of ear jewelry & bracelets to make her look like a princess. Eventually, your model will require some warm clothes to put on. 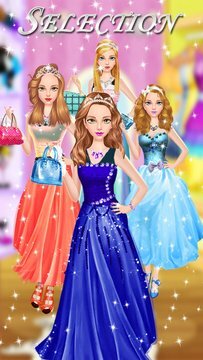 You can select from a wide variety of dresses and summer clothes to keep your models fresh.